cordially invites the general public to the ABUJA CARNIVAL 2016. ( Creative Industry:Pivot to Economic Growth). 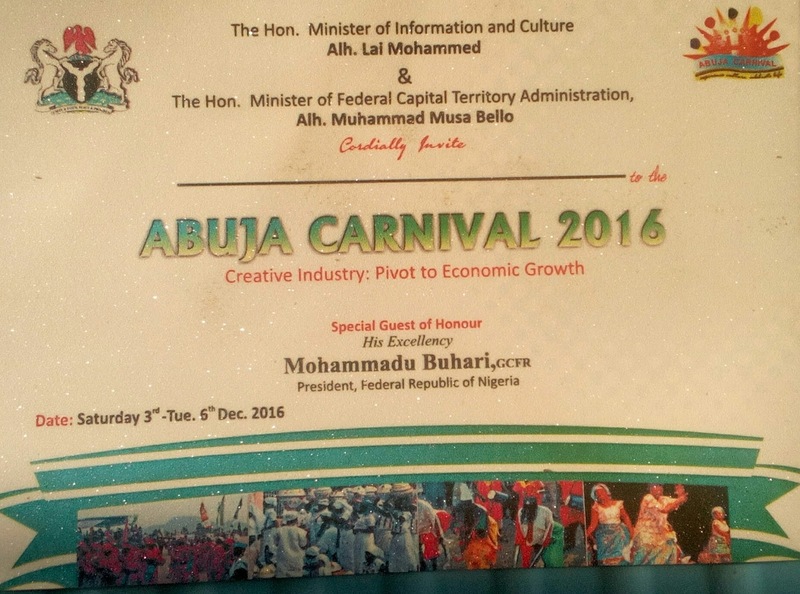 Date: Saturday, 3rd - Tuesday, 6th December, 2016. 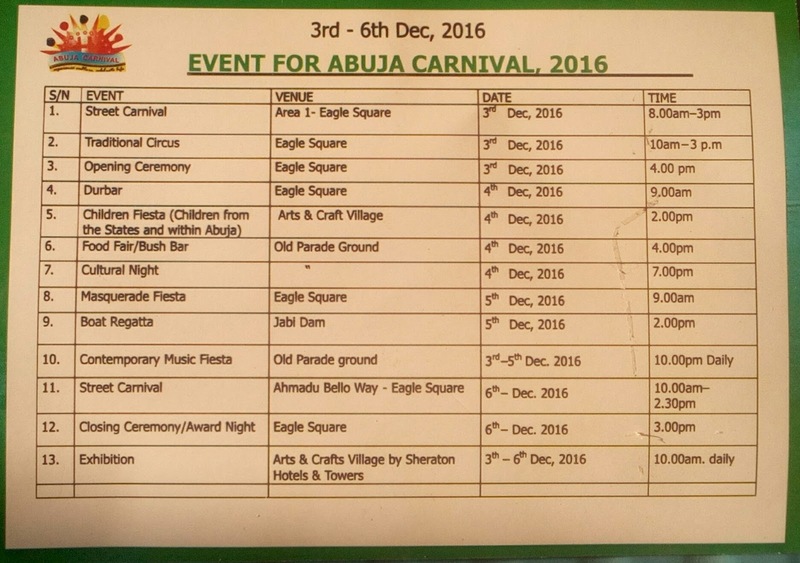 Programme for the Abuja Carnival , 2016. Don't miss out on this adventures of fun packaged to rock your December, in the F.C.T, Abuja.